As a nation we have lived in the grip of induced fear now for most of a century, built largely on what have later been revealed as serious exaggerations of foreign or domestic enemies. The first Red Scare, 1917 to the mid-1920s, with vestigial repression until World War II, brought a reign of terror against those “suspected” of being “radicals” and “Bolsheviks.” The second Red Scare, post-World War II to the early 1960s, with vestigial effects until the fall of the Berlin Wall in 1989, produced more persecution of “radicals” and “communists.” Now the Muslim scare of the 2000s has created a campaign of terror targeting Muslim “extremists.” Fear is an easy emotion to manipulate and exploit, making it convenient to create compliant constituent support for aggressive domestic and foreign policies. All the government has to do is declare a threat to our “national security” and then proceed by virtually any means to eliminate the evil du jour. Meanwhile, real, live terrorists at home have been generally ignored or overlooked and, if acknowledged, rarely labeled as terrorist. In 1920, there were an estimated six million members of the KKK, nearly 25 percent of the adult male population of the nation with representatives in every state. They were rarely, if ever, prosecuted. In 1917, President Wilson created the Office of Military Intelligence (OMI) in the War Department to conduct wholesale clandestine surveillance of thousands of U.S. citizens suspected of “disloyalty.” And, in 1919, the Justice Department’s Bureau of Investigation, precursor to the FBI, headed by young J. Edgar Hoover, collected personal files on 150,000 U.S. Americans labeled seditious radicals, often described as communists or Bolsheviks. Thousands were rounded up and jailed, hundreds deported, virtually none enjoying any due process whatsoever. In the meantime members of the KKK were lynching with impunity African Americans at the rate of six a month, while murdering countless Black leaders and civil rights activists into the late 1960s. [Between 1882-1946, 4,715 African Americans were lynched, with a lesser number 27 lynched between 1947-1968.] The government did not consider this behavior terrorism, as it did those who were critical of U.S. domestic and foreign policy. Furthermore, hundreds of massacres were committed by white citizens and riots raged against African Americans in cities throughout the U.S. throughout the twentieth century. The period 1917-1970 saw the appointment of 86 state or federal riot commissions seeking to identify the causes while recommending remedies. Consistently, these commissions found virulent racism and severe class differences as causes. Rarely was terrorism mentioned and few programs were instituted to address these structural causes aside from a brief period in the late 1960s when the 80-year-old Jim Crow laws were finally outlawed. Much of their racist spirit, however, remains alive today. Throughout the early 1900s and into World War II, the war against labor activists was equally intense, even if the number of murders only counted in the hundreds. These were perpetrated by paramilitary goon squads hired by company barons with assistance of local police. [From the mid-1870s into the latter 1930s, over 700 labor activists were murdered, with thousands injured.] This was not considered terrorism and did not warrant a government war against goon squads or corporate heads. In fact, the police often supported the murder of labor activists, under the rationale of teaching radicals a lesson. President Truman instituted “loyalty oaths” as part of the second Red Scare and created the National Security Agency and Operation Shamrock to spy on correspondence and electronic communications of thousands of U.S. Americans, which expanded to include antiwar activists, civil rights leaders and drug peddlars. In 1967, the CIA, created in 1947, initiated Operation Chaos, exceeding its statutory authority, indexing 300,000 names of citizens to “discover” ties between dissenters and “foreign interests.” The Department of Defense in the 1960s launched massive domestic surveillance without authority on as many as 100,000 U.S. citizens, utilizing 1,500 army plainclothes operatives. From 1967-1974, both Presidents Johnson and Nixon used the Army Security Agency (ASA) in separate operations working with other military units to illegally survey communications of U.S. citizens opposed to the Viet Nam War in Operation Minaret. President Nixon created the secret “Plumber’s Unit” to conduct “dirty tricks” on his opponents that led to the Watergate Break-in. From the beginning of the founding of Vietnam Veterans Against the War (VVAW) in 1967, the FBI kept files on its members, infiltrated its local groups, made harassing visits to members’ homes, and generally attempted to disrupt their activities. After the large anti-war demonstration in Washington, D.C. organized by VVAW in April 1971, at which I was present, the FBI increasingly suggested VVAW was Communist inspired and, therefore, “must be considered a prime target for infiltration.” Martin Luther King, Jr. endorsed VVAW’s anti-war goals two months before his assassination in 1968. The mean-spirited nature of the FBI campaign against VVAW was demonstrated when it was later revealed that the FBI had contaminated VVAW’s national headquarters with an undetectable chemical that caused severe itching. Five years after the founding of the American Indian Movement (AIM) in 1968, in the post-COINTELPRO period, FBI memos identified AIM as “a relevant danger” to the United States. 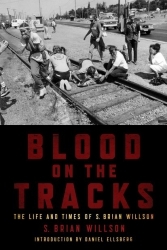 By 1976, dozens of AIM members and supporters had been murdered and hundreds of others injured, victims of paid Indian goon squads with tacit support of the FBI. More than a thousand were jailed. In 1975-1976, the U.S. Senate Church Committee hearings revealed for the first time elaborate details of U.S. intelligence operations, both at home against U.S citizens, including COINTELPRO, and abroad, including assassination of foreign leaders. As a result, new laws were passed to curtail some of the worst abuses. However, President Ronald Reagan quickly revived de facto COINTELPRO tactics with a virulent campaign against the Soviet Union (the “evil empire”), seeing Reds everywhere once again. In a series of executive orders, intelligence findings, and National Security Decision Directives (NSDD), he authorized widespread domestic covert surveillance by the CIA, FBI, and National Security Agency, among others, that included directives “to go anywhere, do anything” to destroy “terrorists.” Thus, the modern war on “terrorism” really began with Reagan, not George W. Bush. By 1986 the FBI had created a government-wide formal Counter-Terrorism Operations Plan. Between 1982-1988, thousands of individuals had been harassed and intimidated, 1,600 groups had been improperly targeted, and over 18,000 individuals and groups had been identified as suspects in “terrorist” activities. I myself got swept up as a “suspect” in this paranoid madness which used concocted propaganda, stage managing with thousands of informants/infiltrators, the creation of enemies all over the place at home. It cost me dearly physically. It was ridiculous. Reagan claimed impoverished Nicaragua was creating a “Soviet beachhead” and that its revolutionary aspirations for social justice posed “an unusual and extraordinary threat to the national security” of the United States, even suggesting that it might invade the U.S. at the small border town of Harlingen, Texas. This, despite the fact that Harlingen was 1,250 miles and four countries distant from Managua which was preoccupied defending itself from Reagan’s 20,000 Contra terrorists. Ex-career FBI agent, Jack Ryan, has testified that virtually all FBI agents are expected to have informants, also known as source, asset, snitch, stool-pigeon, or a 137 (informant file number). The pressure to distort, exaggerate, misrepresent, falsify or otherwise manipulate information is common despite rules and procedures intended to prevent abuse. Although Middle East terrorists have largely replaced the earlier target of the official fear campaign, “radicals” suspected of being supportive of the Red menace, there are many within our country who continue to disparage “socialism” as a great and terrible threat. Being able to declare evils du jour enables the politics of fear to continue, ad infinitum, perpetuating uncritical thinking and the ballooning of military and intelligence budgets. Thus, the military-intelligence industrial complex and all that it represents, including immense profits at the expense of domestic health, is entrenched further at the expense of freedoms at home, which in my opinion is nothing good. This entry was written by brian, posted on at 3:55 pm, filed under Terrorism & Homeland Security. Bookmark the permalink. Follow any comments here with the RSS feed for this post. Post a comment or leave a trackback: Trackback URL.